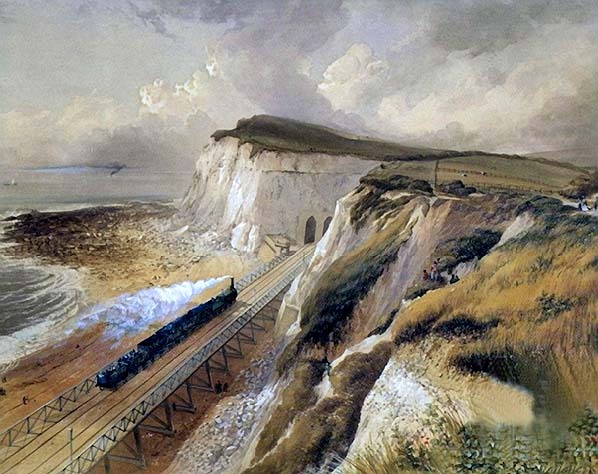 The first train has just left Dover station on 7 February 1844 and is about to enter Shakespeare Tunnel. The last two coaches are third class and open topped. These brought regular complaints from passengers as sparks from the engine burned their clothes. It was suggested by the SER that to avoid this problem they should travel first class!. The line is on wooden trestles across Shakespeare beach.